Boilers and their associated systems are an important part of a modern commercial building's central energy plant. The central energy plant usually consists of a number of devices that are normally located together, to allow easy monitoring as well as short runs and connections for water and electrical systems. The devices in a typical central energy plant are the chillers, cooling towers, piping and distribution systems, and boilers. Like other types of equipment found in the central energy plant, boilers and auxiliaries have many variations. Factors that determine the equipment used include the needs of the building, applications, and available fuels. Asking these questions narrows down the selection of boilers and equipment: Is hot water for heating needed? Is steam needed? Is power generation taking place? Boilers can be broken down into different types, such as steam or hot water systems. A boiler generates steam by the application of heat in a closed container. Boilers can be further broken down into fire tube and water tube boilers. A fire tube boiler has the hot gases of combustion inside the tubes and the water surrounds the tubes. A water tube boiler is exactly the opposite—water is inside the tubes and the tubes are surrounded by the hot gases of combustion. A properly functioning boiler consists of the boiler itself plus a number of systems. There are four basic systems in a steam boiler: the steam distribution system, the feedwater system, the fuel system, and the draft system. The steam system directs the steam from where it is generated to where it is needed. The feedwater system supplies water at the correct conditions to the boiler so that steam may be generated. The fuel system provides the fuel in the proper condition for the combustion process to function. The draft system provides air for combustion and discharges the gases of combustion into the atmosphere through the breeching and then the stack. All of these must function correctly for proper boiler operation. You can use a thermal imager, such as this Fluke Ti105, to check many parts of a boiler system. Each of the boiler systems has a number of devices that allow it to function efficiently and safely. Common fittings include steam traps, pressure gauges, insulation, pumps, and valves. To maintain safe and efficient boiler operation, these fittings must be maintained properly. Safety sensors, electrical circuits, and the efficiency of combustion must be checked as well. The purpose of a steam trap is to remove condensate, air, and non-condensables without the loss of live steam. The different types of steam traps in use include thermostatic, float-thermostatic, inverted bucket, bimetallic, and impulse types. In the event of failure, steam traps will either be closed or open. A closed stream trap will not pass any condensate through, while a steam trap that fails open will blow live steam through the trap, wasting energy and money because of the loss of live steam. The steam loss can add up to tens of thousands of dollars per year. Steam traps should be tested several times a year for proper operation. Among the common methods used to test steam traps are sight, sound, temperature, and conductivity. Today, infrared cameras are often used to test steam traps. The advantage of infrared cameras is that they can be easily used from the floor of the mechanical room, which avoids the use of catwalks and ladders. A steam trap that is operating normally will have a specific temperature difference at the inlet and at the outlet of the steam trap. A thermal imager can easily and quickly calculate the temperature of the pipes, and diagnose whether or not the steam trap is operating properly or needs repair. 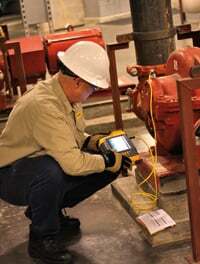 The portability of thermal imagers allows quick diagnosis of multiple steam traps. Believe it or not, repairing one large steam trap can pay the cost of the thermal imager. For safety, any pressure gauge that seems to not be operating perfectly must be removed and checked for calibration. You can ensure pressure gauge accuracy by scheduling checks and recalibration using proper test equipment. Another area of testing that leads to immediate results and energy savings is pipe insulation testing. Insulation that is missing, loose, damaged, or inadequate will cost thousands of dollars in energy costs per year. Fortunately, a thermal imager will easily and quickly spot these insulation problems. 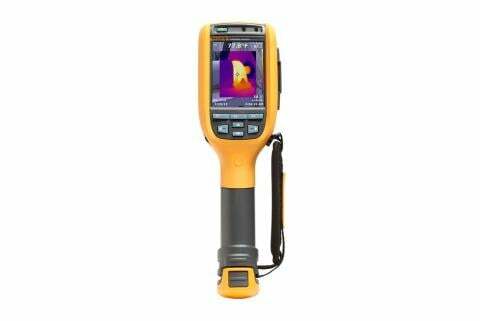 Again, an advantage of the thermal imager is that it allows portability and ease of use. Pumps are one of the most common devices in central energy plants. Boiler systems use hot water, feedwater, and condensate pumps. The failure of a pump can cause the shutdown of a critical process or area. In many buildings downtime is very expensive, with thousands of dollars per minute of lost production not unheard of. The most common pump type is a centrifugal pump. These pumps can be tested using a variety of diagnostic equipment. A thermal imager can show water, steam, and bearing temperatures. A digital multimeter (DMM) and clamp-on ammeter will show electrical problems that can affect pump operation. Motor insulation testers will show motor problems before they occur. Vibration testing is also important for centrifugal pumps. Vibration testing can show pump misalignment, imbalance, looseness, as well as bearings that are about to fail. These tests can allow corrective maintenance to occur before failure, again with the purpose of preventing major failures before they occur. Many boiler plants distribute hot water to various building systems. A Fluke 810 Vibration Tester will indicate various pump problems. 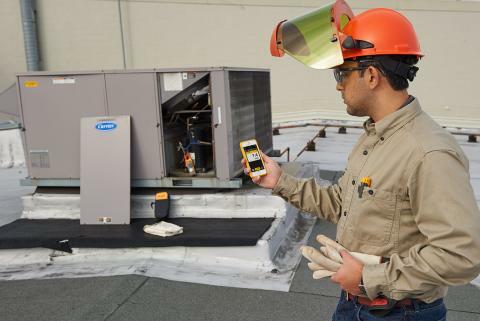 The Fluke 810 can record vibration information for the pump, diagnose faults, and trend severity of the fault over time. The central energy plant has many valves. Boiler plants use valves for the control of hot water, feedwater, condensate, and steam. Modulating valves are often used to control temperature at terminal units, air handling units, and steam to hot water heat exchangers. 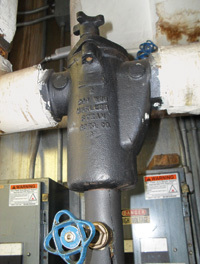 A valve that is malfunctioning can cause improper operation and high energy costs. You can use a thermal imager to detect small steam leaks for early valve repack and repair. A valve that is not opened properly may show a high temperature difference across the valve. A shutoff valve may leak through slightly, which will affect system operation. A thermal imager can show the temperature difference on either side of the valve, indicating a leak. A boiler system has numerous safety limits, sensors, and controls. The failure of these components can lead to boiler shutdown or a potentially catastrophic boiler explosion. Examples of these components include a flame sensor as well as steam pressure, gas pressure, temperature, and steam pressure devices. You should check their accuracy and operation with certified diagnostic test equipment to ensure safe and efficient operation. With sensors, compare a reading at the diagnostic test equipment to the reading of the actual sensor. If not within factory tolerance it should be replaced. 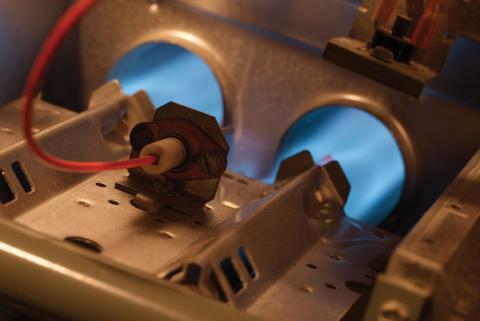 You can check a flame sensor by measuring the milliamp output of the sensor when it is exposed to the boiler flame. Another major area where diagnostic equipment is vital in a boiler plant is the electrical system. One of the major worries is that incoming electrical power from the utility will fail, be interrupted, or have the wrong current, voltage, or phase. 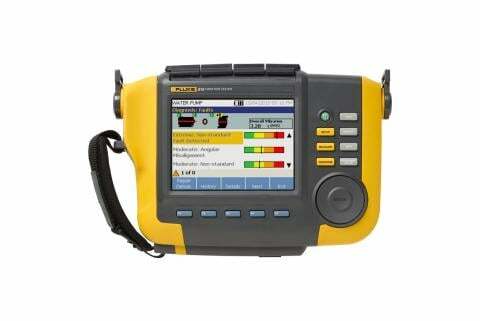 Fortunately, power quality analyzers can show incoming power quality issues and monitor for problems. Other potential problems occur in individual electrical components: loose connections, breakers, switches, safety limit controls, and sensors. You can use a thermal imager to see "hot spots" in a panel, which may be caused by loose connections or a breaker about to fail. With a digital multimeter you can check continuity in electrical control systems. Measure temperature and pressure signals such as resistance, voltage, and current input sensors and compare them with factory calibration values to determine whether the sensor or transmitter is operating properly. You can use some DMMs to generate voltages to check the operation of motorized valve actuators. The combustion of fossil fuels releases different byproducts of combustion. If combustion is complete, carbon dioxide is produced. If incomplete combustion takes place, carbon monoxide is released. Carbon monoxide is an odorless, colorless, tasteless gas. It is deadly and kills many people per year. Fortunately, carbon monoxide sensing features are available with quality diagnostic equipment. Carbon monoxide readings should be taken at regular locations and intervals. A high carbon monoxide reading demands immediate ventilation and equipment shutdown and checkout to determine the source and cause of the carbon monoxide. You can use a thermal imager to measure the temperature at the stack to help determine the combustion efficiency and possible problems at the boiler. Modern diagnostic equipment can help save large amounts of energy in a modern central energy plant. You can diagnose and possibly prevent many boiler problems by conducting regular, routine maintenance and repair; you can also reduce costly downtime and expensive equipment failures. Proper boiler and equipment operation improves safety. All of these benefits easily cover the initial cost of quality equipment. Take advantage of quality diagnostic instruments and begin saving big dollars today!